Best Printing in Richmond for Fifty Plus Years! Foley Company is the Richmond area’s premiere business communications provider. We offer every kind of printing and a complete line of business products from checks to promotional products to creatively and effectively communicate with your clients, employees, stockholders, or vendors. Wonder where we can put your logo? Your logo can be on ANYTHING! 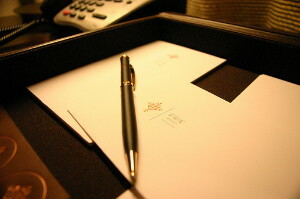 At Foley Company, we are in the business of making your business look great. We understand what it takes to communicate your unique brand identity. We listen, create, listen again and deliver quality products that will exceed your expectations. We do it all with a smile and a commitment to provide an exceptional experience and value. 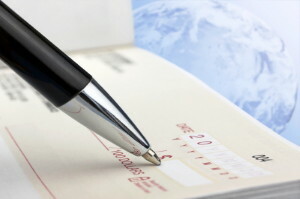 Why not have your checks reflect your company's style and personality? We can provide you with any check format you need from high security, to laser, to general purpose checks. It's a powerful tool in direct marketing -- and we have the expertise to make it happen. Let us design your postcard campaign and you'll distribute pieces that are sure to get a big response. Big messages get big results! Our large-size banners and signs are hard to ignore, and they're easily noticed by passers-by. Advertise a grand opening, special event or a new product in a highly visible way.